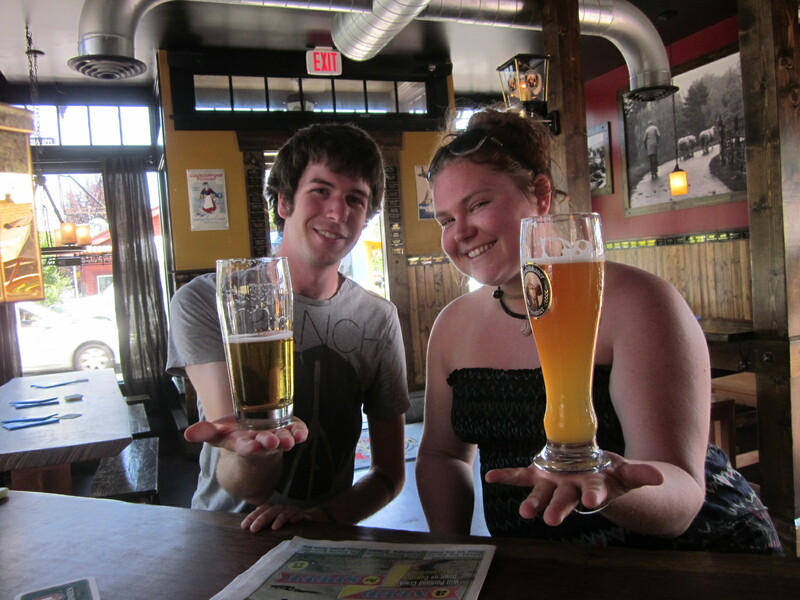 After spending much of his childhood visiting his family’s farm in Buseck-Beuern, Germany, Chris decided that Portland needed to experience German bier the way it should be served. 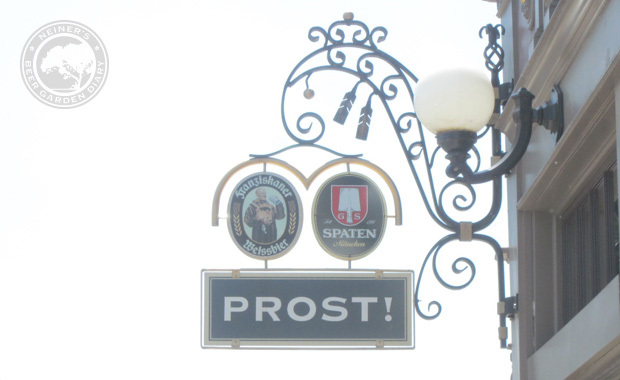 Most of the pictures hanging on Prost’s walls are of Chris’s family and hometown. I drive through beautifully tree and garden lined roads of Portland’s Mississippi neighborhood for a few minutes before I can clearly see my destination on the corner. I circle the block again and soak in the pleasant surroundings of bike riding, hybrid driving, organic free-range chicken eating residents. 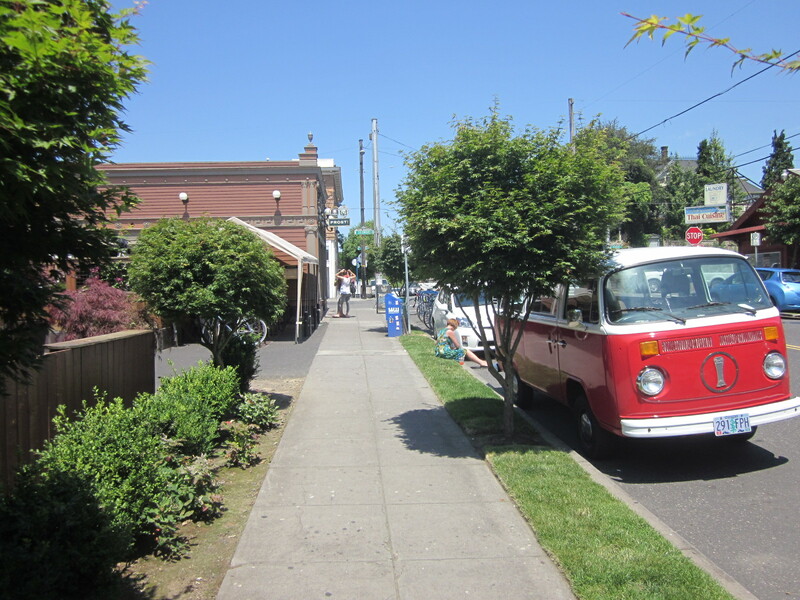 A microbus and bike parking sit on the street as I walk toward my next brew deliverers: Prost! with an “!”. It just feels nice with a touch of carefree right here. A little open market opens up to my left. 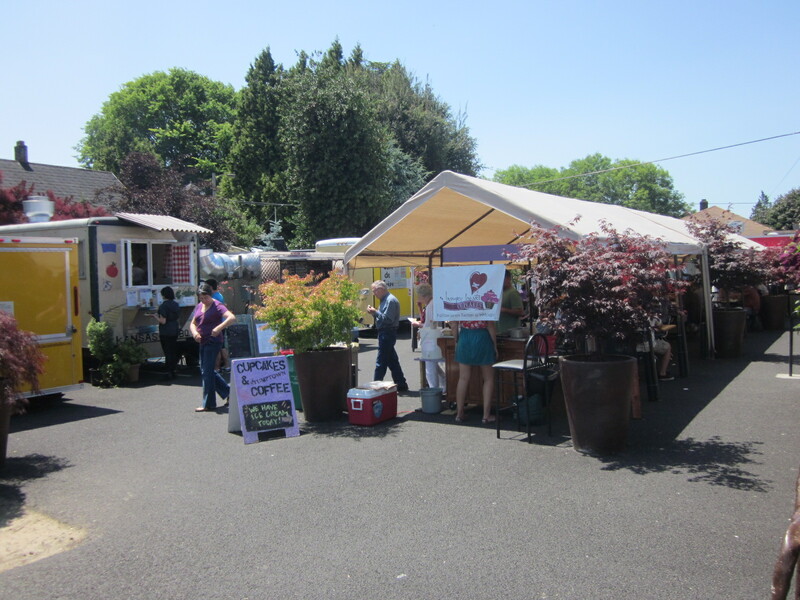 There are food trucks and tents set up and some folks are milling about. The space is literally right next to Prost!. I wonder if they are “together”? The garden/deck/patio in the back comes into view after the market and it looks inviting. The flowers are flowing past the wooden wall and people are conversing amongst themselves. The building itself is quite striking. It looks fresh and old-timey at the same time. Like a classic restoration or something. Inside is a charming little tavern. 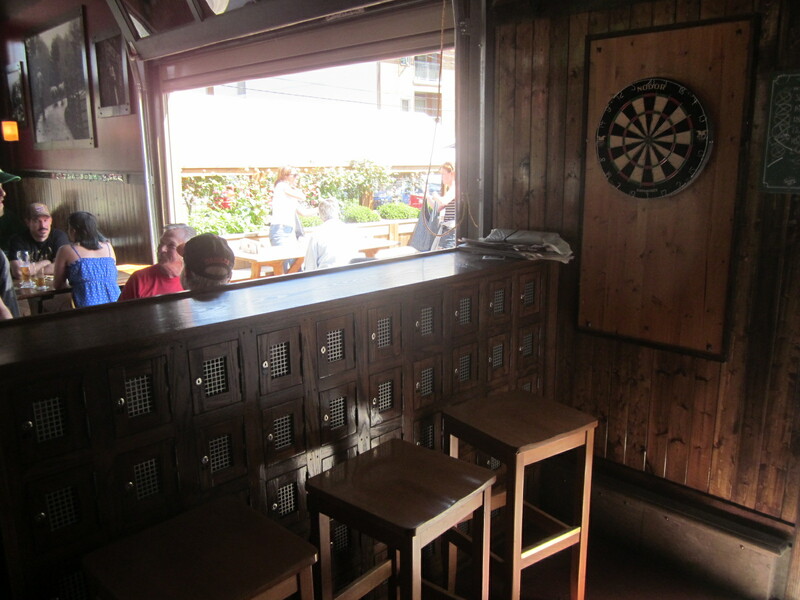 All of the furnishings are wooden and it gives it a warm feel. There is German photos and artwork on the walls and I notice the taps feature a 100% German selection. 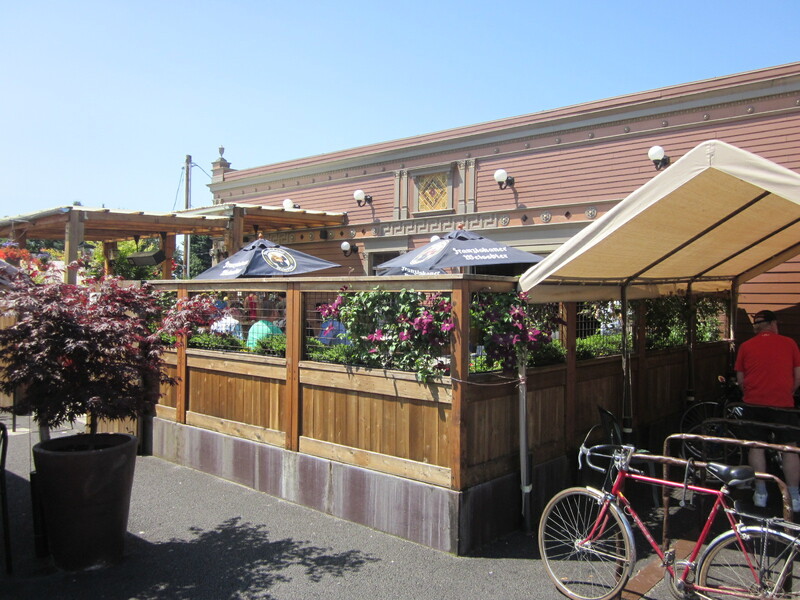 The patrons are a solid mix of young, old, business and casual. The music is folky and the vibe is as such. 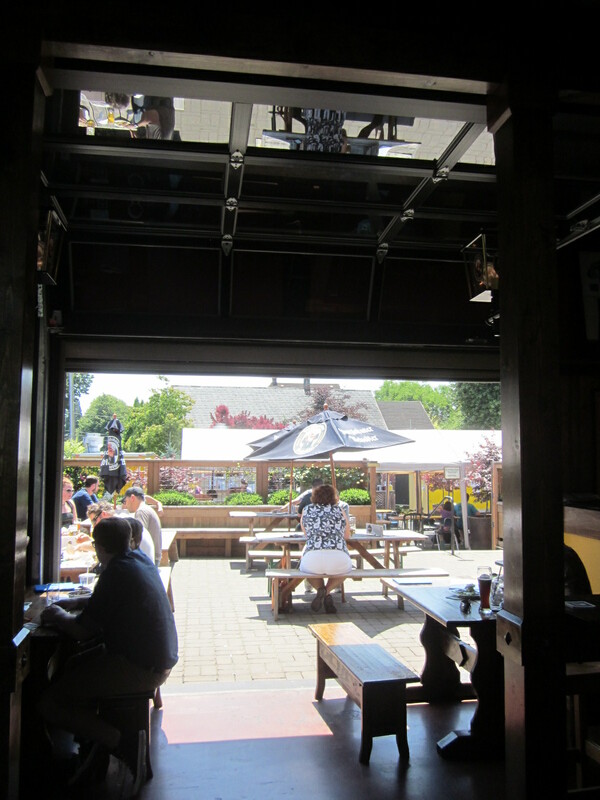 A set of garage doors open up the back of the indoor portion of the bar. 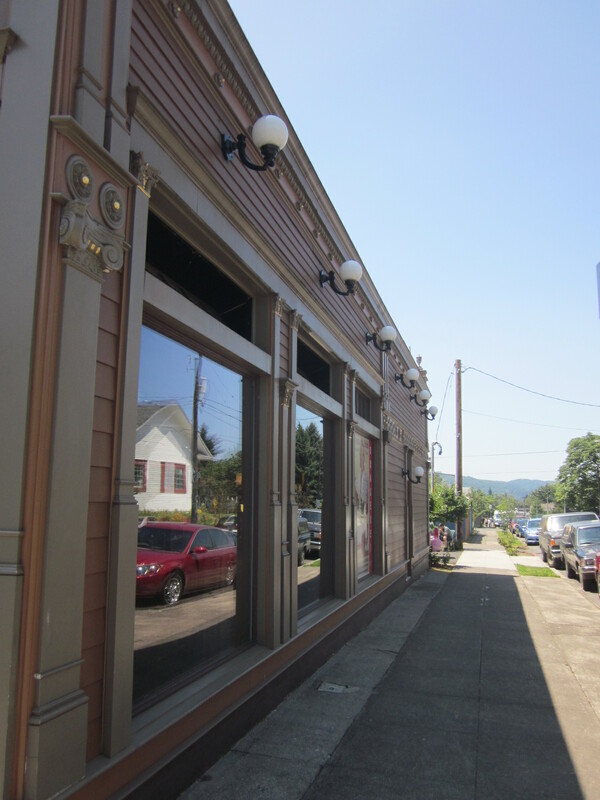 The old flourishes and fixtures of the presumable historic building are still present and look immaculate. The garden area is comfortable. It is more of a deck or patio than a garden, but there are plants and flowers encompassing the interior perimeter of the whole space. 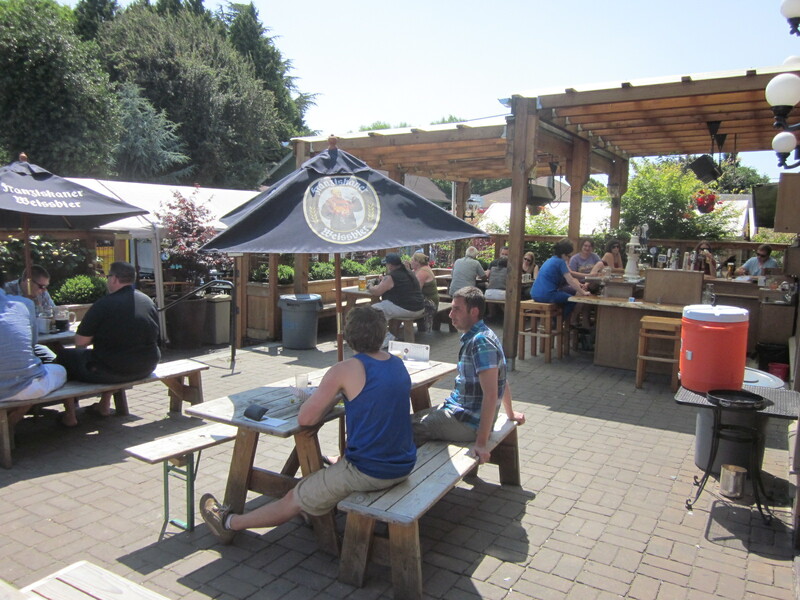 People that are brave enough to sit at picnic tables are treated to an umbrella to stave off the sun. It is a beautiful day and worth a little sweat if you can find a spot. But I can’t! On one side of the garden are open tables and seating, while the other side is covered with a trellis. 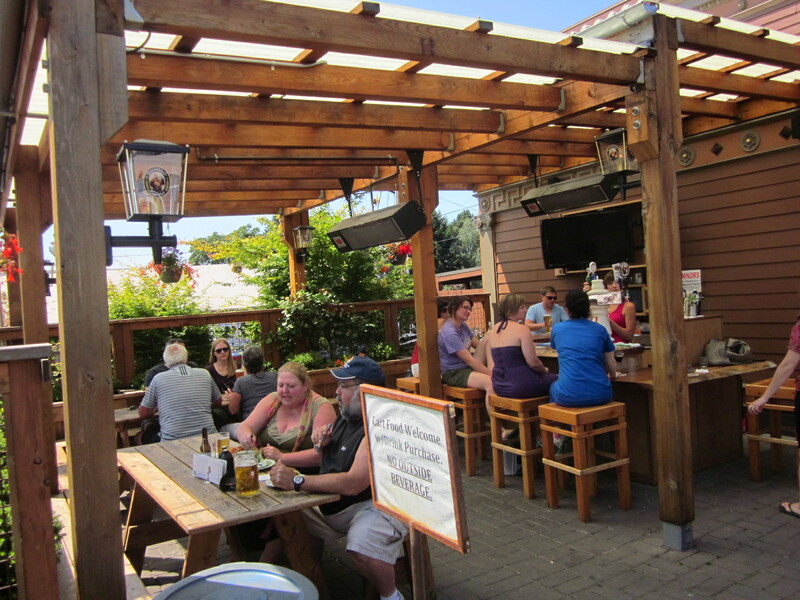 Under it sits a great outdoor bar where some of the customers are getting happily chummy. There are heaters mounted above for the winter season chills. Out the back of the garden, you can exit directly into the open air market. 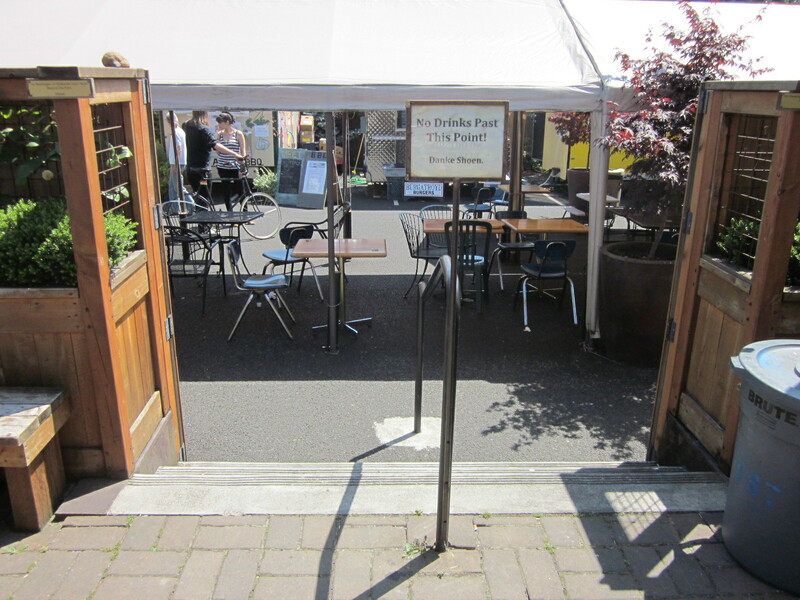 Drinks are not permitted out the door, but food from the market or trucks are permitted up into the garden. They are “together” sort of. I come inside to the bar and share a drink with a random fellow Atlantan that just happened to be there! 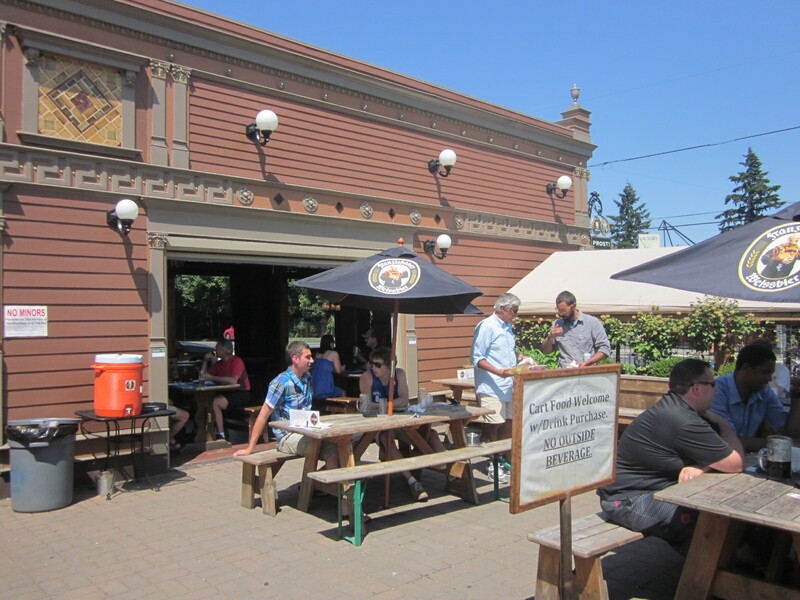 In talking with one of the owners and the bartender, I found that this building is from 1894 and it has always kind of been a bar or restaurant. 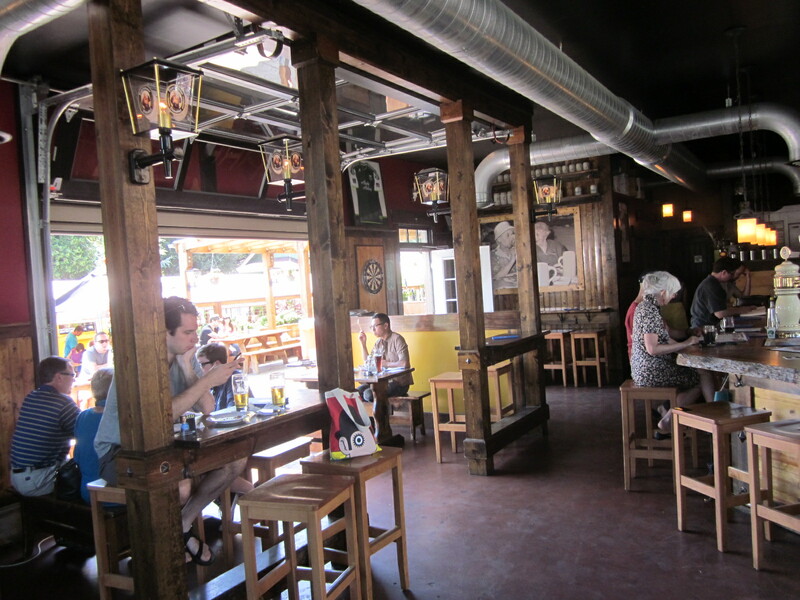 It used to be in disrepair and not have an outdoor space, but with some TLC and a German spirit behind it, it has been revitalized and the neighborhood is thankful it did! Can’t believe you saw Diane Middlebrooks on the other side of the freakin’ country – crazy world!